Do You Have Content Marketing Klout? It’s a common question among content marketing skeptics, and one that Grammar Chic, Inc. has addressed many times before: How exactly do you know that your content marketing endeavors are working? Some say that proving content marketing ROI is difficult, but it might be more accurate to say that there are simply many analytics to choose from: Social media reach, website traffic, and less tangible things like consumer trust and brand loyalty. You might be surprised to know that there actually is a fairly straightforward, numeric way to understand your content marketing efficacy. It’s called your Klout score. Klout is a company that uses propriety algorithms to determine the level of influence exerted by a brand or individual’s online presence—including Twitter feed, LinkedIn posts, and on down the line. The way it works is, on the surface, pretty simple: Klout assigns Joe Blow a score somewhere between 1 and 100. If Joe Blow has a 100, it means he’s one of the most influential people on social media; if he has a 1 then his social media posts and status updates aren’t making any kind of an impact, and poor old Joe is really just wasting his time. 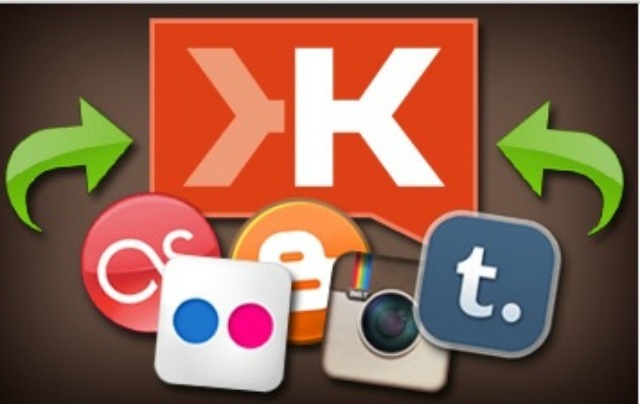 What Determines Your Klout Score? We might all like to believe that Klout scores are as informative and as objective as the Klout folks say they are, but the true picture is just a little muddier. What exactly determines your Klout score? How is influence evaluated and quantified? The specifics of the Klout algorithms are mysterious, leading some to suggest that the whole thing is fairly arbitrary. Others are sure that Klout scores really do carry weight. It’s probably fair to say that, yes, Klout scores do matter, at least insofar as Klout is a reputable and widely known social media institution. (Currently, more than 400 million social brands have Klout scores.) Even if the algorithms are nonsense and the scores themselves are arbitrary, Klout itself is a respected brand, so having a high score carries a certain level of prestige. One thing we’ll say in favor of Klout is that the company does take a smart, healthy view of social media marketing and content creation. Experts agree that the best way to raise a Klout score is to focus on engagement—not mere promotion, but helpful and informative content that prompts users to actually interact and share. If chasing a higher Klout score causes your company to step up its content marketing game and focus more heavily on user engagement, that’s not such a bad thing. With that said, we’ll also note that you don’t actually need a Klout score to determine whether your content marketing is having any effect. Evaluating content marketing ROI is as simple as setting the right goals and then using your analytics to track them, and Grammar Chic, Inc. helps all of our content marketing clients keep tabs on their campaign progress and results. To learn more, we invite you to contact us today at http://www.grammarchic.net, or 803-831-7444. Tagged as Content Marketing Advice, Content Marketing Klout, Do You Have Content Marketing Klout?, Engaging Your Users—With and Without Klout, Klout, professional writing services, Social Media Content Management, What Determines Your Klout Score?